Islebound – Build Up Your Renown! Islebound is a nautical game of commerce, in which you travel across a mystical archipelago and recruit sea monsters and pirates. Your goal is to collect treasure, hire crew, conquer islands and build buildings, all these in order to become someone of great renown. On your turn, you move, perform an action and additional free actions. During your movement, you take your ship from one island to another, where you can take the resources and the abilities it offers. You can attack an island or ally one through diplomacy, and you may also hunt for treasure. When you have completed your actions, you can take a free action. The first one is completing a quest and the second one is buying a building. Buildings are of great importance in this game, since they give special bonuses and abilities, while some of them give bonus renown points at the end of the game. The various abilities of these buildings will allow you to distinguish yourselves as great traders, builders or invaders. The wealthiest and most renowned player wins the game. 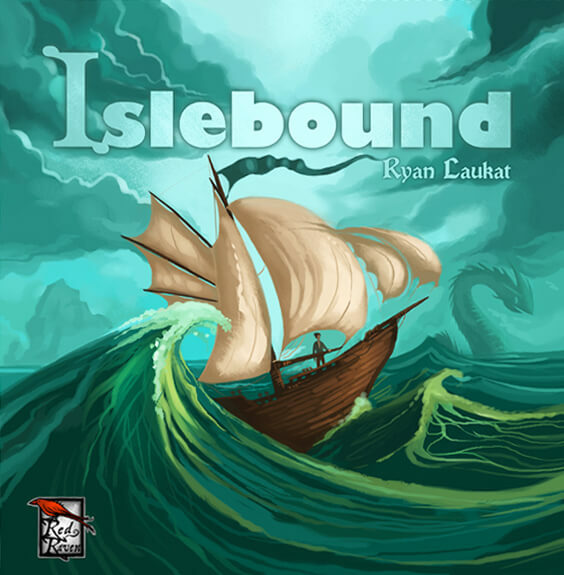 Islebound is a worker placement game with great artwork and it has been designed by Ryan Laukat, also known for Above and Below and The Ancient World. City of Gears – Worldwide Kickstarter Giveaway!